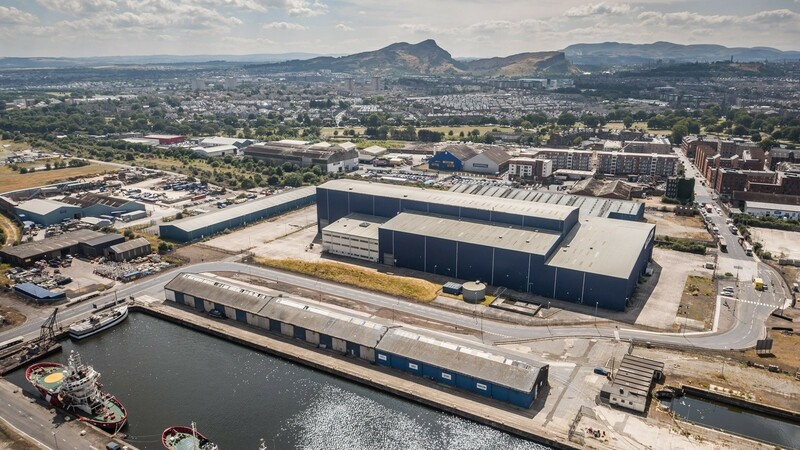 Screen Scotland has invited developers to tender for a role in a major film and television production studio in Port of Leith. 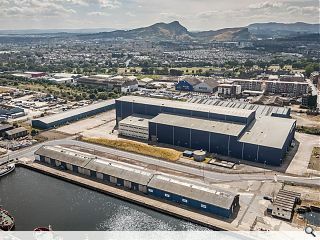 The ambitious vision focusses on the Pelamis Building, a vast industrial shed which would be refurbished to serve as a fully-equipped production base for crews seeking to film on location in Scotland. Currently owned by Forth Ports the facility is no stranger to the big screen having played host Marvels Avengers: Infinity War last year to shoot key Edinburgh-based scenes in the blockbuster movie. Once remodeled the facilities attraction to producers will be greatly enhanced with 160,000sq/ft of adaptable interior space capable of accommodating up to five sound stages up to 100ft in height. Associated services include 27,000sq.ft of workshops, office space and a backlot capable of hosting large-scale set builds. Welcome news, if a little bewildering in some ways, if in particular we consider the film-tv-media infrastructure already in place in Glasgow- why are the Scottish government to keen to have this studio in Edinburgh? Most of the 'talent' in Scotland is based in Glasgow. The only studio/production facilities of any note are at Film City in Govan, with the vast majority of media-film companies based in the city as well. BBC, STV, now Channel 4, Savalas, Sigma films etc all based in the city. Glasgow's transport infrastructure, particularly its rail network, is superior and more extensive than the capitals- we can only hope the tram extension to Ocean Terminal will make it a more accessible location in the future. Has all the hallmarks of a Auld Reekie establishment clique land grab. Very appropriate when you have the Britannia sitting close by. Surely Forth Ports should be leading the search to find tenants for its buildings? Surprise, surprise -- not just any film and TV studio complex but the Scottish National TV and Film Studio complex. They just will not let anything slip through their grasp will they? Good news. As a Glaswegian in the arts it would be nice to have it on my own doorstep but then again, maybe it's a good thing the industry doesn't become too centralised. Also, Leith is a fine place and only an hour away so it's hardly the ends of the Earth. The most edifying part of this though is that it will finally kill any pretence that certain other £250m 'film studio' developments were nothing more than stalking horses to rezone green belt land into housing stock. To make a £250m investment worth the effort it would have to return £20m a year. Elstree meanwhile, made a profit of around £64,000 in the year that nonsense started its noise. #3 Aye, it's amazing how some folk will turn even the tiniest, irrelevant morsel into a political rant to suit their own ends, distorted by a bent prism as it may be. Edinburgh is short of housing, is stacking up horrendous traffic problems by growing into Midlothian, has 0% unemployment and has no history in TV/ Film. Glasgow is depopulating, needs investment/ high quality jobs, and is has long been Scotland's arts/ media/ cultural capital, particularly TV. Leith Docks should be given over to flats and housing to meet demand. (It would help if Thatcher hadn't sold them for a pittance, £10m or so). People who actually live in Edinburgh will get hee-haw benefit from this. Just outpriced in housing and a lot more traffic. Can the two cities not work together to agree specialisms and work together on these types of things? And to the SG: DIRECT CAPITAL SPENDING TO GLASGOW YOU MUPPETS. Sorry Alibi, whilst I totally agree that this studio should be based in Glasgow, as it is the only large city in Scotland, the city is most certainly not 'depopulating,' but has seen an increase in its population across most council areas, with central Glasgow, i.e. Glasgow City Council area increasing by nearly 30,000 in the last 8 years, and the Glasgow urban area now standing at 1.66 million. The whole idea has a touch of GoT envy about it -- no original thought at any level -- just a case of copying our friends across the water. We have loads of big industrial sheds that could be doing with a bit of re-purposing so why Leith and why this one? The Auld Reekie establishment would be a good place to start. Plus there is the bigger issue that we seem to see our future as cheap labour for other peoples' ideas rather than start at the bottom -- we have stories to tell so why not tell them and then move up the food chain and produce and sell all the elements to the world. We pump prime the whole value chain with the TV licence fee -- the fact that we cannot produce a surplus from this arrangement suggests that we are too focused on a salary no matter the quality of the output rather than anything entrepreneurial where risks have to be taken. And then there is STV -- why do they bother? #8 FBoT: they're essentially separate issues. This is somewhere for large-scale productions to be catered for. The demand for high-value content is insatiable and expanding. GoT isn't a one-off. There's no reason why this facility can't accommodate two or three such productions every year. I've already mentioned in a prior UR post why STV can't broadcast on their own channel, how BBC Scotland is dreadfully underfunded and given the lack of opportunity to leave, once someone's in, they're in for life and will defend their job to the death. Streaming's the way to go for indigenous productions. There's a lot of frustrated talent and once it finds an outlet STV and BBC Scotland will suffer a serious body blow. The Government is looking for private developers to take the opportunity forward - so in the end the market will tell. The Big Blue Shed has already hosted a few film shoots - most significantly one of the Avengers films - so clearly Edinburgh is where filmmakers want to be. I can't think of any shoots of that scale landing in Glasgow since World War Z a good few years back. At the end of the day, if you are a producer from the vast state of California the distance between Glasgow and Edinburgh is laughably small. There was a proposal to build a studio next to Film City Glasgow but it was reliant on massive scale public subsidy of questionable legal standing.